Honeywell HE225, HE220, HE150 and HE100 humidifiers. HC26E1003 water panel dimensions: 10" x 10" x 1-1/2"
The HC26E1003 humidifier pad is treated with an advanced antimicrobial coating that helps prevent the surface growth and migration of bacteria, mold, fungus and algae on the humidifier pad. This is the pad of choice if you are looking for superior quality and performance in your Honeywell humidifier. 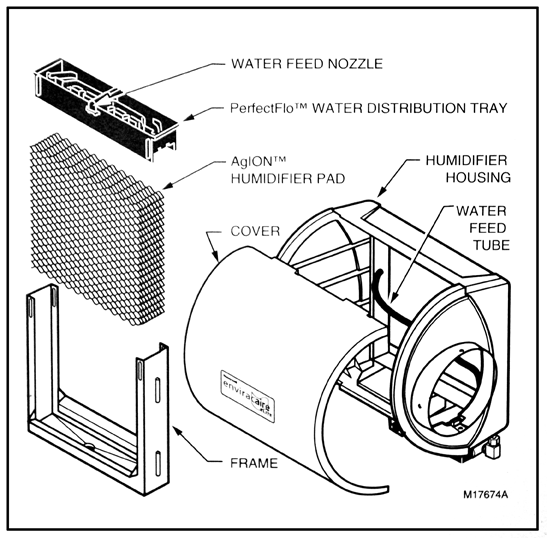 Proper humidification improves air quality, prevents dryness in your home and has many health benefits. HE225, HE220, HE150 and HE100. Fast, easy and what I needed. Click the button below to add the HC22E1003 Humidifier Pad w/ AgION Coating - 3 Pack to your wish list.